This book brings all the major equine respiratory diseases together in one single concise volume. 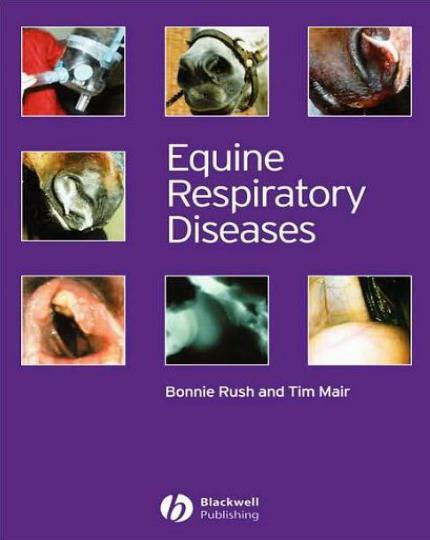 Written by two leading equine experts, it enables the reader to relate clinical anatomy, physiology and pathology to clinical signs seen, and to form a rational basis for the control, treatment and prevention of respiratory diseases. Essential reading for all those working in or studying equine medicine, Equine Respiratory Diseases also includes:Diagnostic tests for infectious and non-infectious respiratory disease Details of techniques involved when testing for respiratory diseases Step-by-step practical instructions for carrying out procedures Numerous colour pictures. Diseases of the respiratory tract are common in horses of all ages and types. Respiration is a cellular activity, and the respiratory tract is the organ that permits respiration to take place. The requirements placed on the respiratory system by the body’s metabolism include the transfer of the precise quantity of oxygen from the inspired air to the arterial blood that the body tissues need, and the removal from venous blood the quantity of carbon dioxide they produce by metabolism. These requirements for respiration increase dramatically during exercise, and the respiratory system of the horse is designed to permit wide fluctuations in the amount of gas exchange taking place within the lungs. Respiratory disease is rewarding to evaluate and treat for equine clinicians. The respiratory system is highly accessible for diagnostic testing, responds to an extensive armamentarium of drugs, and has a relatively favorable capacity for healing. Techniques used to evaluate the equine respiratory tract include endoscopic examination, radiographic and ultrasonographic imaging, cytologic evaluation and bacterial culture of respiratory secretions, and histopathologic evaluation of respiratory mucosa and pulmonary parenchyma. Advanced imaging techniques, such as computed tomography and magnetic resonance imaging, are also increasingly used in certain diseases, especially dis-eases affecting the upper respiratory tract.